Morning, transfer to airport and fly to Mandalay. Transfer to jetty for a boat trip on the Ayayarwaddy River to Migun village about 11 km (1 hour) upriver from Mandalay, visits the huge Pa Tho Daw Gyi: - One of the world’s largest unfinished monument built by King Bodaw Paya. 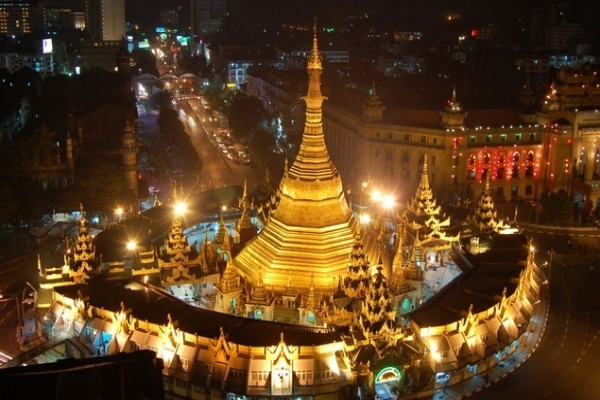 Mingun Bell: - weighing 90 tons the world biggest bronze bell, and visit Mya Thein Dan Zedi . And then visits the Amarapura sightseeing’s famous Maha Gan Da Yone Monastery. 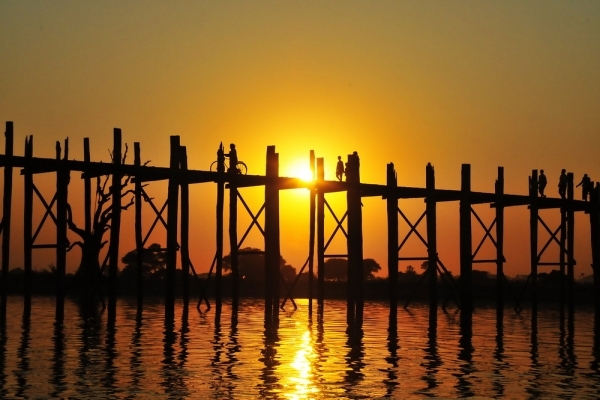 Proceed to the1.2Km long U-Bein teak bridge which was recuperated from the waste of abandoned Ava palace, Wood carving, Marble carving, Bronze casting. Lunch Break: return to visit Maha Muni Bronze Buddha Image: - A spectacular Buddha image of Rakhine feature, Gold leaf processing method, Shwe Nan Daw Kyaung:-(Golden Royal Palace Monastery) a traditional teak architect handicraft design, Ku Tho Daw Pagoda: - known as the world' s biggest Buddhist scriptures book, consisting of 729 marble slabs, Tapestries & Silk weaving of Mandalay. Then Sunset from Mandalay Hill. Overnight at Hotel in Mandalay. After breakfast, take an excursion by coach to the former Royal Capital of Innwa [Ava], which take a few minutes sampan ride. 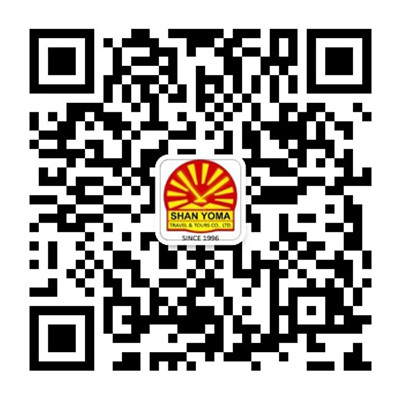 Visit Maha Aung Mye Bon Zan monastery, Watch Tower, fort walls and brick causeway and Bar Gaya- Teak wood monastery. 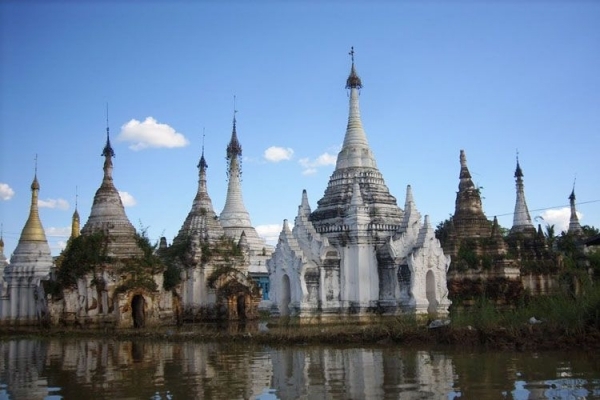 Then proceed to Sagaing across the Ayeyarwaddy River to Sagaing Hill - which represents numerous Pagodas and monasteries and a retreat center for Buddhist devotees. Overnight at hotel in Mandalay. After breakfast, drive to Pakokku and on arrival, stop to visit Thanaka market and cheroot factory. 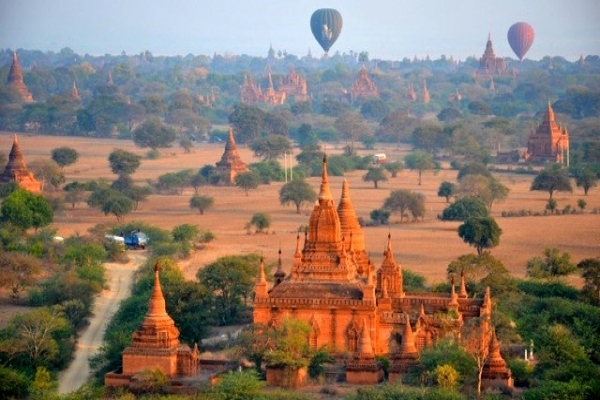 Relax and take a short boat tour to Bagan (2-hours). On arrival in Bagan, transfer to hotel and overnight at hotel in Bagan. 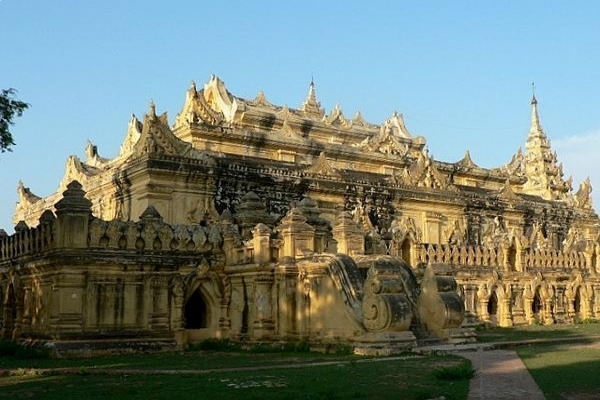 After morning breakfast, excursion around the Bagan Archaeological Zone Heritage area and begin a comprehensive tour of Bagan including; visit to the interesting local Nyaung Oo market where you can buy some cotton clothing or local woven fabrics and souvenirs. 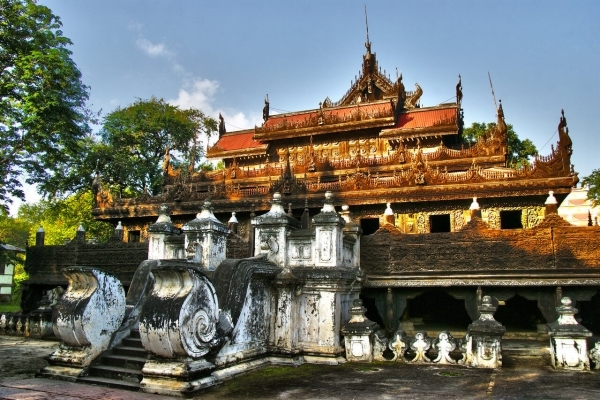 Shwe Zi Gon; completed in 1084, noted for its glazed plaques depicting scenes from the Jatakas the prototype of later Myanmar stupas. Wet Kyi Inn Gubyaukgyi Temple; the biggest and the finest brickworks temple in Bagan. The majestic Htilominlo Temple; built in 1211 AD and one of the largest temple, noted for its fine plaster carving on the arch pediments and friezes. In the afternoon, after a visit to lacquer ware workshops; continue to Manuha Temple built by exile King Manuha. Ananda Temple, 1090 AD, a masterpiece of early period temple architecture with four huge standing Buddha Images. Overnight at hotel Bagan. After breakfast, transfer to airport and fly to Heho. On arrival continue by coach to Nyaung Shwe, the gateway to Inlay Lake, which situates 900m (above sea level) for the home of unique one leg rower. 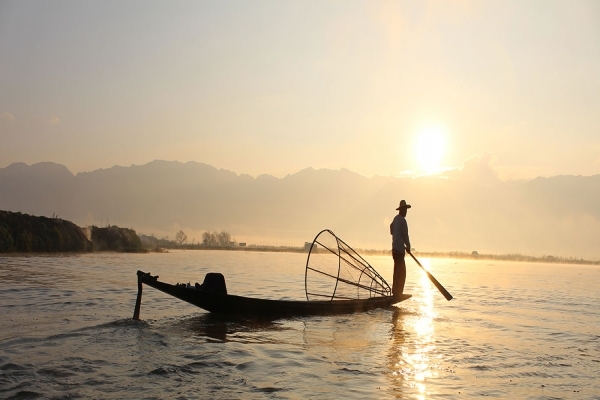 Explore the beautiful landscape floating market, floating gardens, conical fishing method, famous Phaung Daw Oo Pagoda, Nga Phe Kyaung (Jumping cat) monastery - a beautiful collection of antique Buddha statues, Silver smith designs of Inlay by boat. Overnight in Inlay. Morning boat a canoe tour to Indein. On arrival at the site, climb up the hill where the ancient pagodas complex Indein has been located since 17th century. 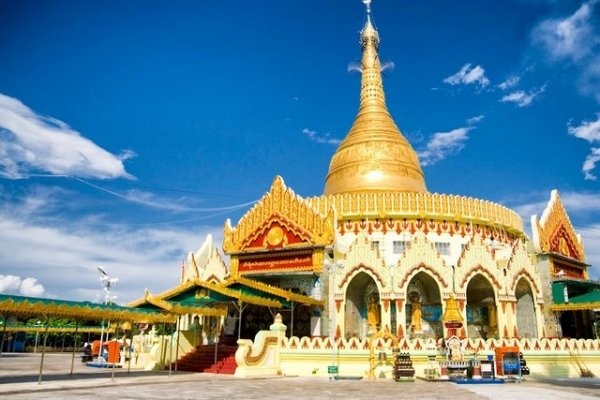 Drop in Nampan, sightsee the typical stilt houses on the water, small hand-made cheroot (traditional local cigar) factories and the oldest pagoda on the lake, the Alodaw Pauk Pagoda, a large gem-encrusted golden shrine. Overnight at hotel in Inle. 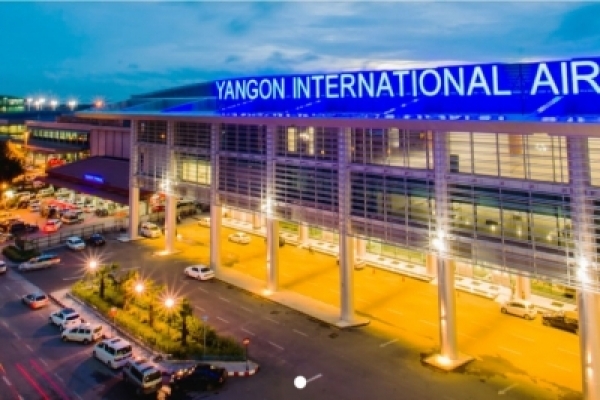 After breakfast, transfer to Heho airport and fly back to Yangon. Arrival Yangon, drive to Tooth Relic Pagoda and you have a chance to study Kalaywa Tawya Monastery, a monastery with high reputation consists of between 500 to 1000 young novices can be seen at the same time while they have their 2nd or the last meal of the day. 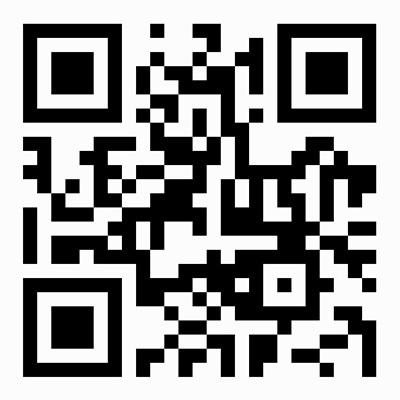 It is very well-worth seeing. Proceed to KabaAye (or World Peace Pagoda), Kyauktawgyi Pagoda also known as Lawka Chanthar Arbayar Laba Muni Buddha Image at Minn Dhamma Hill, there is an Elephant house where the three white elephants are kept. Overnight at the hotel in Yangon.